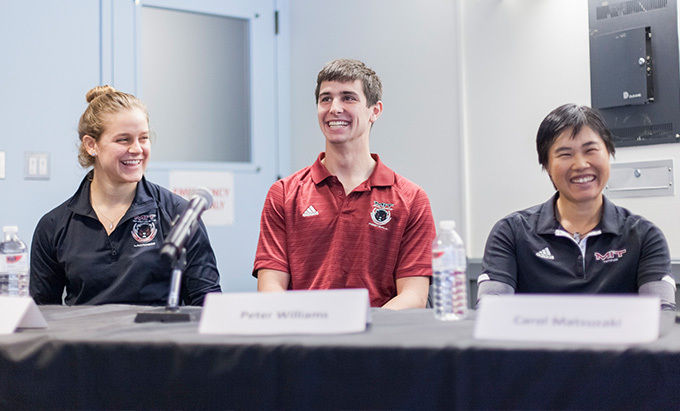 While many families choose to visit MIT during CPW, we understand not everyone can attend. Don’t worry, there are many other ways to explore our campus and community. Stop by our Visit page for details on info sessions, tours, and attending an approved undergraduate class. Whether you visit for a day or a weekend, do stop by and say hello, we’d love to see you! After the May 1 enrollment deadline, the next step is orientation, an action packed and exciting introduction to MIT for our new students. Family Weekend in October will provide you with an in-depth opportunity to see where your child lives, learns, and grows. Perhaps you can even attend a lecture from one of their favorite professors! It takes under 30 minutes to drive from Boston's Logan Airport to MIT, or you can take a taxi (around $35) or public transportation to campus. Most people use public transportation to get to MIT on a daily basis. South Station is the main hub where regional Amtrak, major buslines, and Commuter Rail service arrives. From South Station, MIT is just a 20-minute ride on the T (Boston's Subway System), and you'll arrive in Kendall Square, serviced by the Red Line. If you need a car, MIT offers limited free and paid parking. We have information about directions, parking, and a campus map online here. There are also paid public parking garages nearby. Use the interactive map below to see the paid parking options, or print out this map. Join a volunteer-driven organization that connects parents to each other. 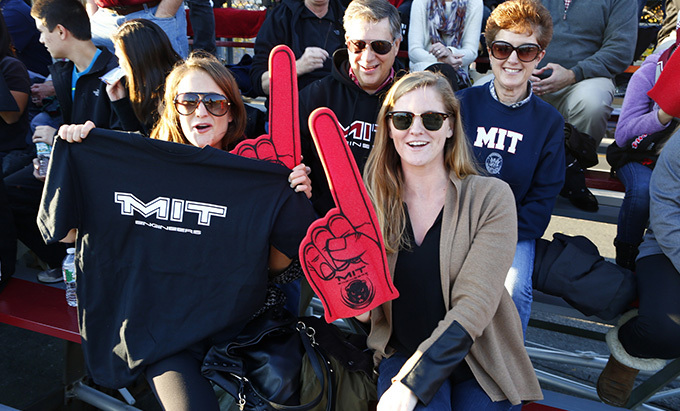 Choose from a large selection of officially licensed MIT apparel.